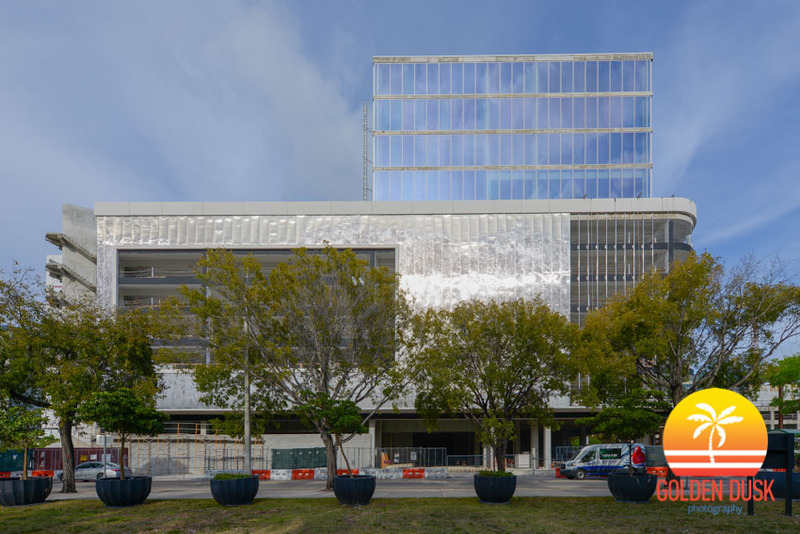 The 12 story office building in Miami, 3 MiamiCentral is nearing completion after topping out a year ago. 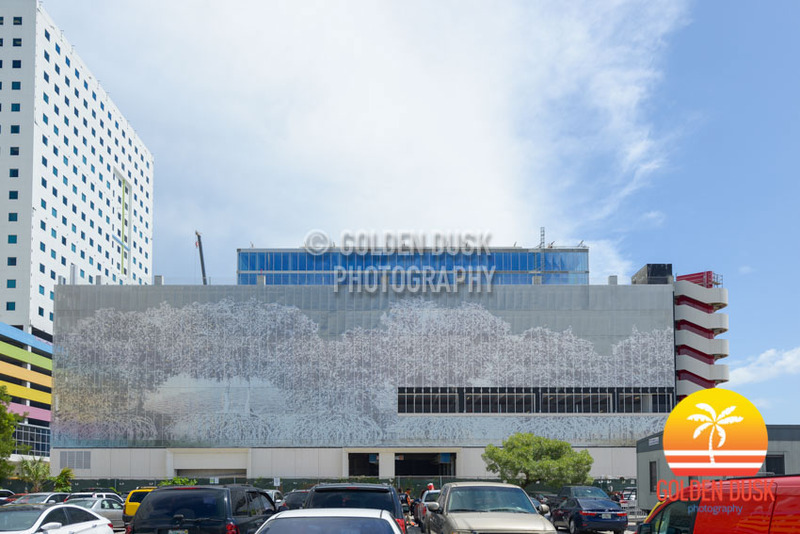 The blue coverings have been removed from the building and the final decorative murals have been added to the façade of the parking levels. 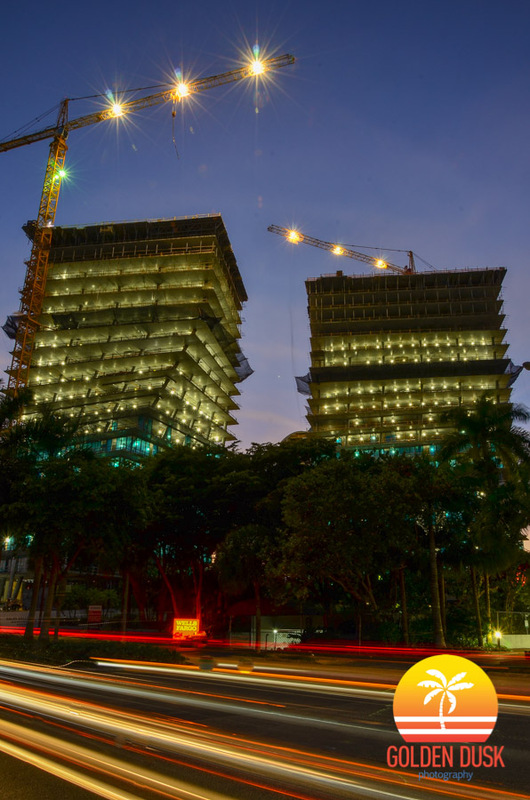 Previous construction photos of 3 MiamiCentral can be viewed here. 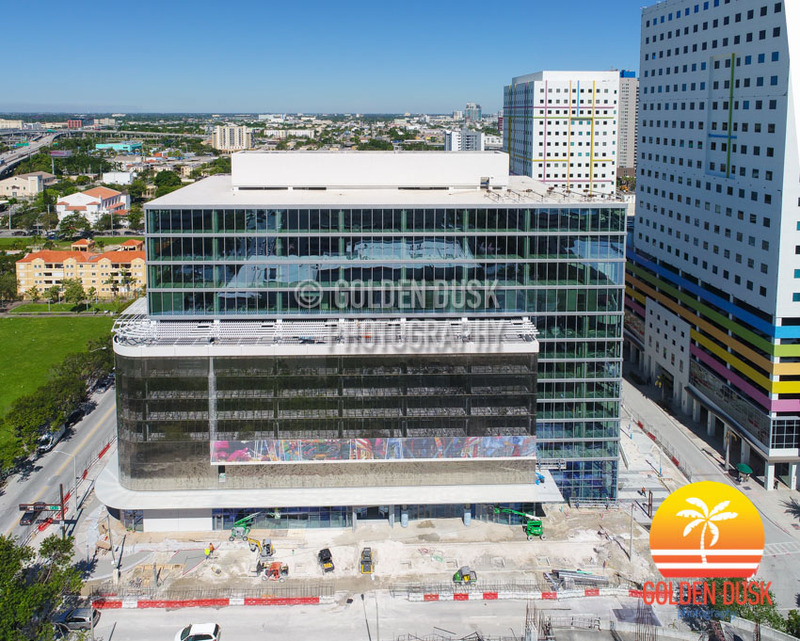 3 MiamiCentral is getting closer to completion since we last looked in April and is gearing for an end of Summer opening date. 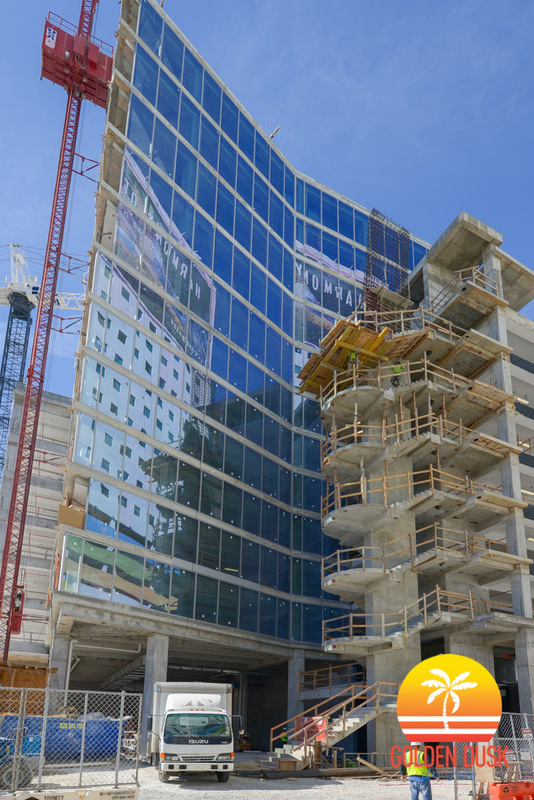 At 12 floors, 3 MiamiCentral will have 90,000 square feet of Class A retail space and tenants include Brightline and more. 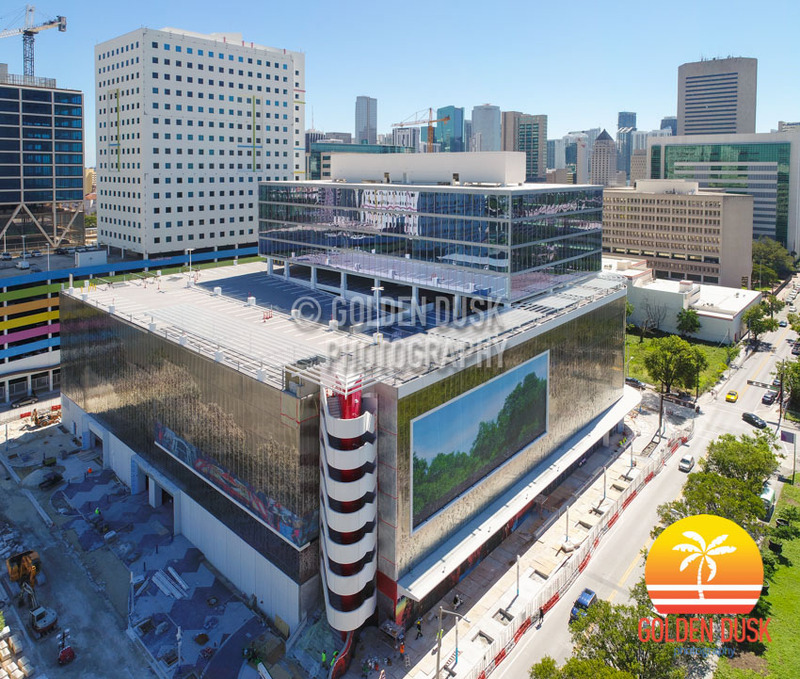 Photos of the under construction MiamiCentral Station can be viewed here. 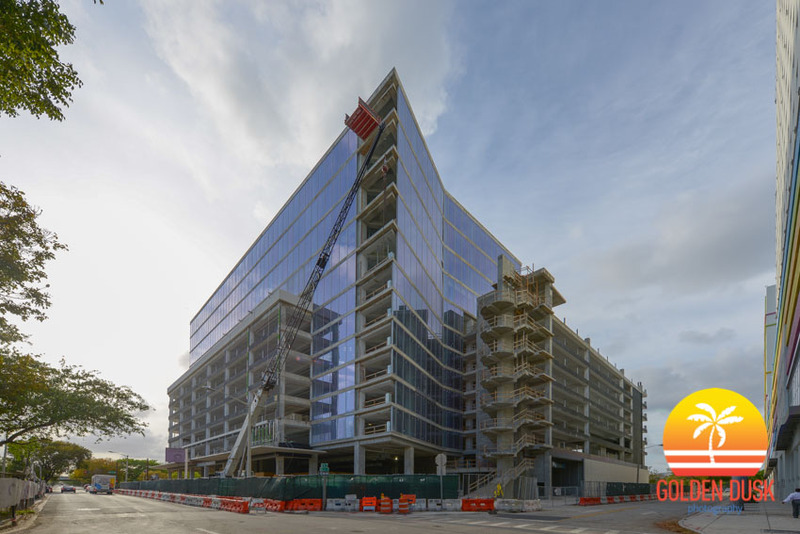 Since we last looked at 3 Miami Central at the end of January, all the glass has been installed on the office levels. 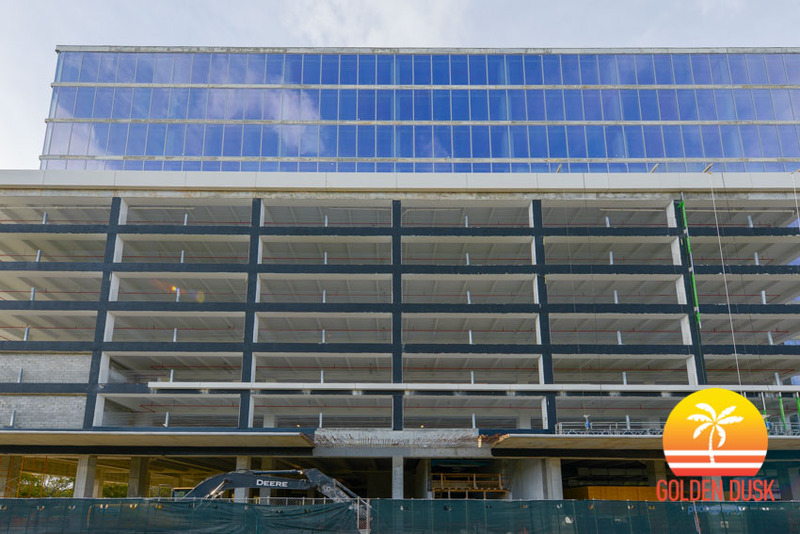 The outside paneling, which has a design, is being installed on the West side of the building over the parking garage. 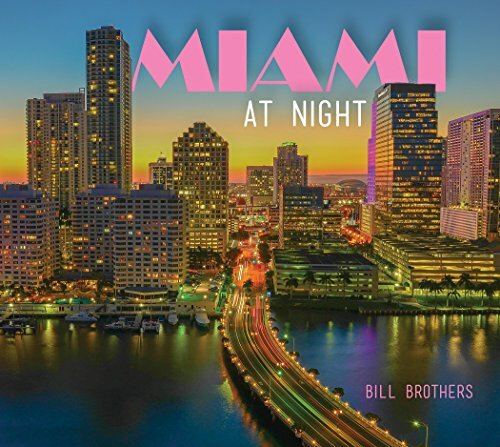 3 Miami Central is part of the Miami Central Station and complex that will begin service to Fort Lauderdale and West Palm Beach this Summer. Previous construction photos of 3 Miami Central can be viewed here. 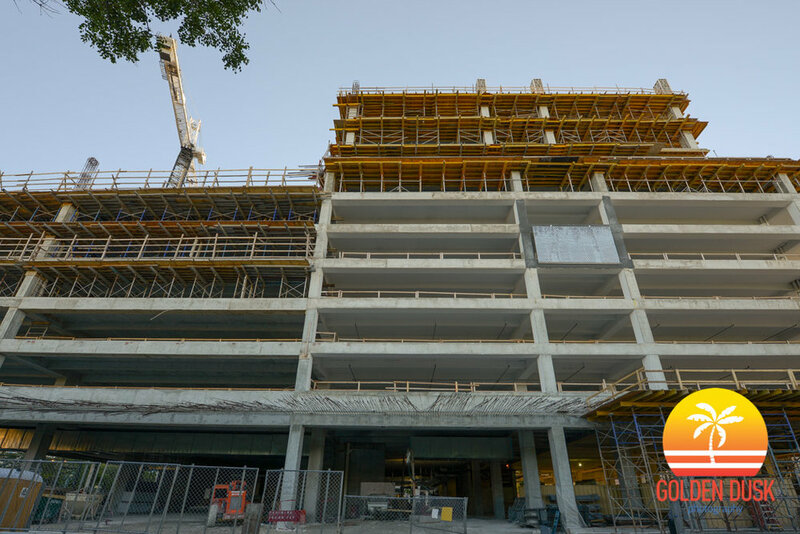 More progress is happening at 3 Miami Central since we last looked in October 2016. 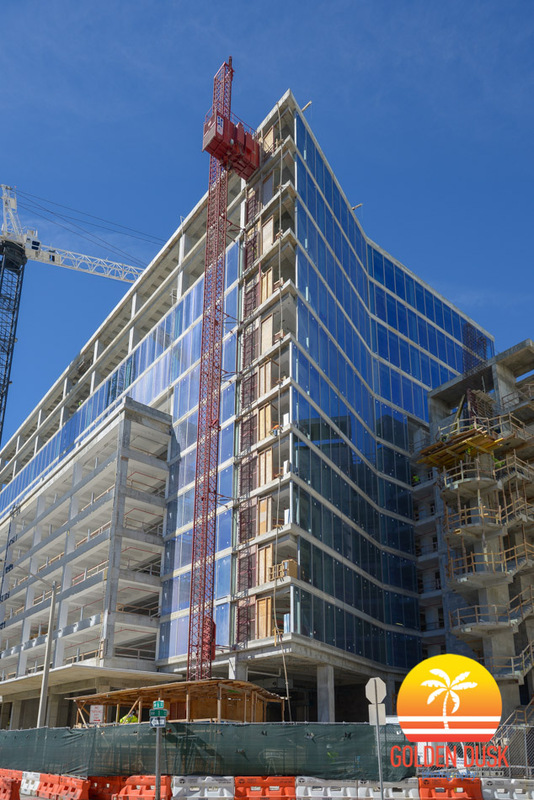 The windows have have been installed on the back of the building while the front is now beginning to get windows. Parts of the exterior are now being painted. 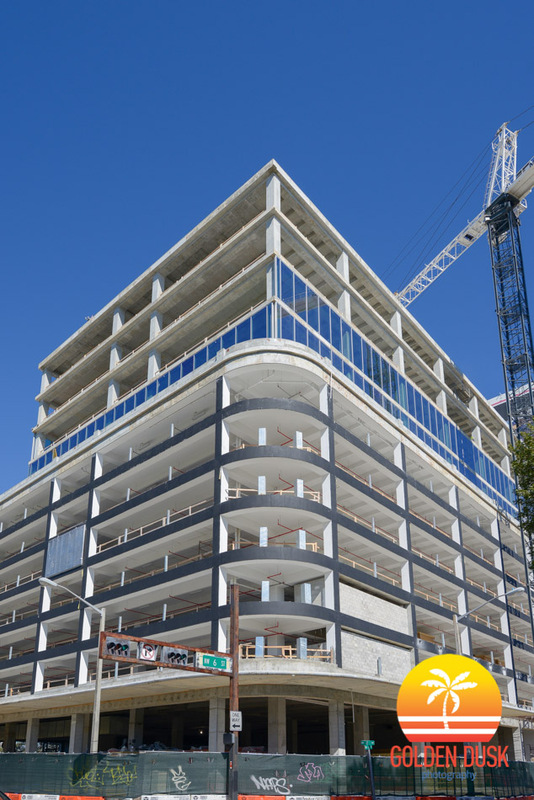 3 Miami Central will have 90,000 square feet of office space, 35,000 square feet of retail and 1,100 parking spaces. 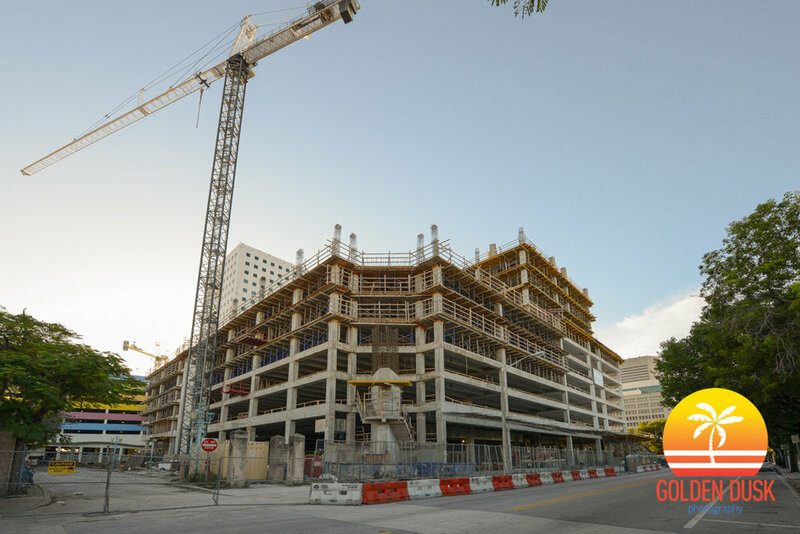 After previously reaching the 8th floor of construction in July, 3 Miami Central is close to topping out the 12 story office building. 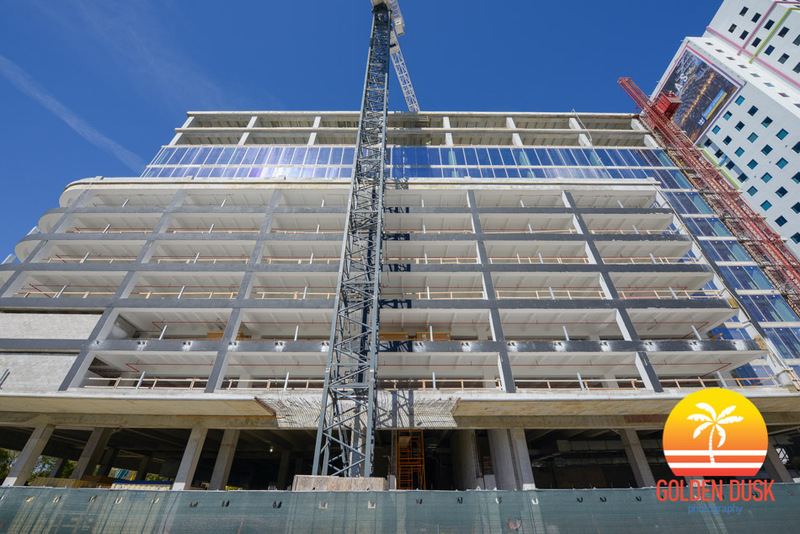 The windows are currently being installed on the lower portion of the building. 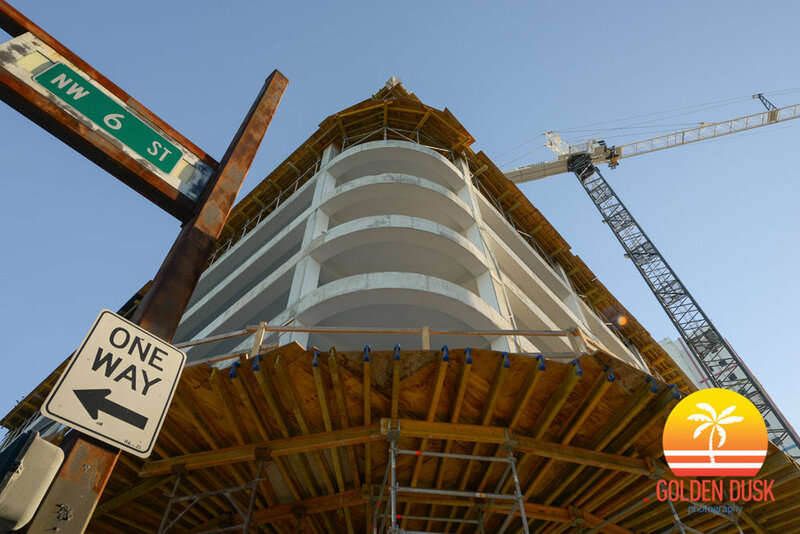 Grove at Grand Bay has received its temporary certificate of occupancy and closings will begin this week, according to The Real Deal. 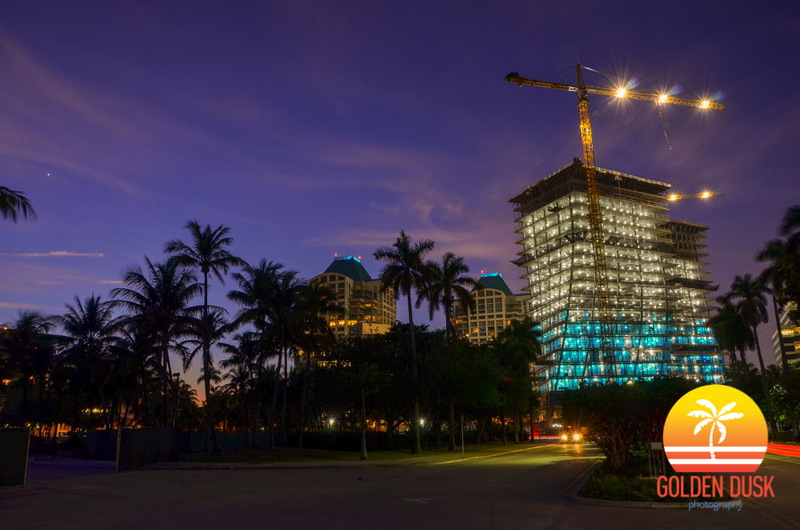 The two twisting towers designed by architect Bjarke Ingels, is located at 2675 and 2669 South Bayshore Drive. 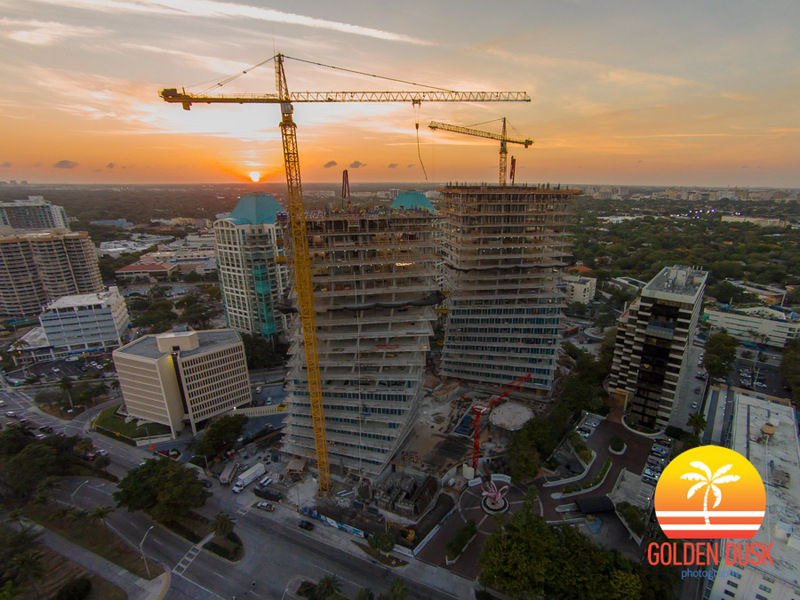 The towers have 98 units and both towers are 20 stories. 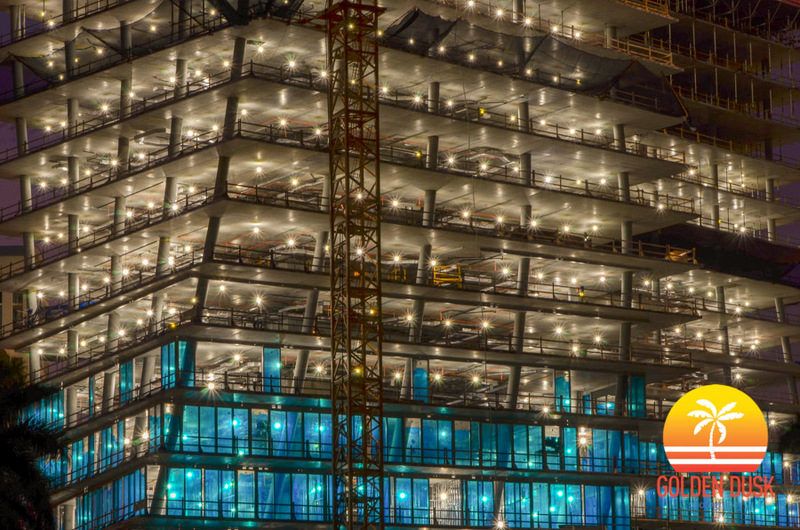 Interior build outs will be completed in three months and move ins ready in four to six months. Grove at Grand Bay was once home to the iconic five star Grand Bay Hotel that become abandoned for many years before the property was purchased by Terra Group for $24 million in 2011.